An Epoch Times report confirmed information first revealed by the Daily Caller and Fox News that the Intelligence Community Inspector General (ICIG) told the “FBI in 2015 that a forensic review of Hillary Clinton’s emails unearthed anomalies in the metadata of the messages. 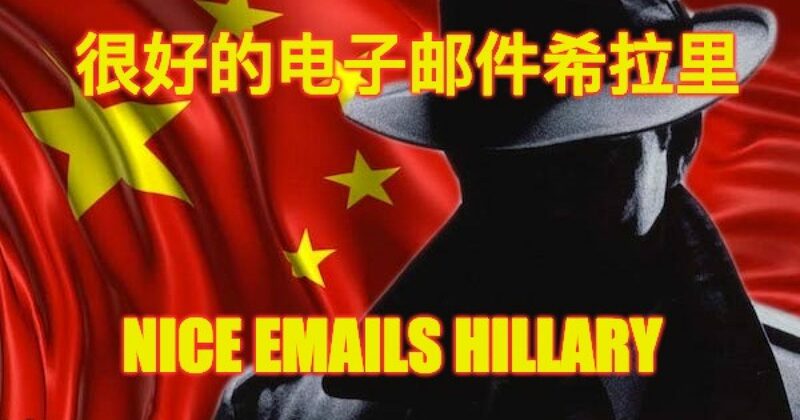 The evidence in the metadata suggested that a copy of every email Hillary Clinton sent during her tenure as the secretary of state was forwarded to a foreign third party.” Evidence proved the third party was China. When Michael Horowitz, the DOJ Inspector General testified before Congress in June 2018 he was asked about the metadata evidence and conceded that he knew about the lead never followed. Mark Meadows (R-NC) asked why it wasn’t in his report about the FBI’s Clinton Investigation he had issued, and Horowitz said he would get back to the committee with the answer. Apparently, Meadows believes that the person who led the FBI’s Clinton investigation Peter Strzok, who was fired from the agency last year after his anti-Trump text messages became known, ignored the lead about the Clinton emails/foreign country, never following up with the ICIG regarding the information. Nobody at the FBI interviewed anyone from the ICIG’s office. In fact, according to Meadows, Strzok called the ICIG office 10 minutes after Comey gave his speech exonerating Clinton in July 2016, and asked them to close out their inspector general’s referral about China hacking into Hillary’s server. Gee Obama’s FBI covering up for Clinton—anyone surprised? Sadly he was correct. Although it’s five months later, this story hasn’t been covered by the mainstream media nor has the Horowitz report on the FBI’s investigation of Hillary Clinton been revised. This entire thing smells.